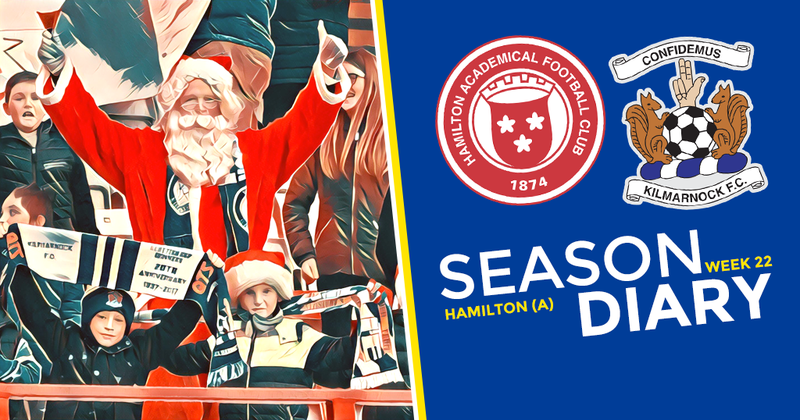 I have spent a couple of days considering ways that I could describe how I feel about Hamilton Accies, only to come to the conclusion that the less said the better. Time wasting is a black art for that lot, and they have now added hammer throwing to their portfolio, although for the most part they only succeeded in injuring themselves. To be fair we should have been able to overcome their ‘style’ of play, but we never really clicked on the day and we had to settle for a point. I do find it difficult to be fair when the likes of Dougie Imrie throws himself to the ground like he’s been shot in the face, trying to get one of ours sent off, but it is Christmas after all, so I’ll settle for casual indifference and looking forward, not back. We’re still in the mix (five points clear in fourth place) and we’ve still got the best away support in the league, have a great Christmas and I’ll see you at Motherwell.